The All Progressives Congress (APC) says that former President Olusegun Obasanjo is being haunted by what he did while in office, especially with regards to the conduct of elections. He was reacting to allegations by Obasanjo that the APC-led Federal Government had concluded plans with the Independent National Electoral Commission (INEC) to rig the coming elections. “For eight years of Obasanjo in office, all the elections he held, in fact, government policies were determined by whatever mood he found himself. “All the institutions of government were brought under his wings and what he did for those eight years is what is haunting him. “ He cannot imagine that a government will allow INEC the statutory independence that it has. “We have had 93 elections or more since APC came to power, and you can be sure that all those elections were conducted without government interference. “We can understand where the former president is coming from, his past is haunting him, he imagines that perhaps the way he did it is the same way we will do it’,’ Issa-Onilu said. He added that the APC-led Federal Government had always allowed institutions to fulfil their mandates without interference. Issa-Onilu said that the 2003 and 2007 general elections held under Obasanjo`s watch were nothing to write home about. He gave an assurance that under the APC government, votes would count in the coming general elections, assuring that the polls would be free, fair and credible. The APC spokesman added that the party had no reason to rig elections, because according to him, its achievements in all sectors of the country`s economy would speak for it. He, however, advised Obasanjo to adjust himself to the reality of an imminent defeat in the coming elections. “He has carried himself about as the dispenser of our destiny and God is showing him clearly that he has just only been lucky. “And the favour that God has done to him, he now considers as the things that are coming from him. “I think it is time for him to smell the coffin, this election will come and it will be free and fair, APC does not have any reason to rig it,“ Issa- Onilu said. 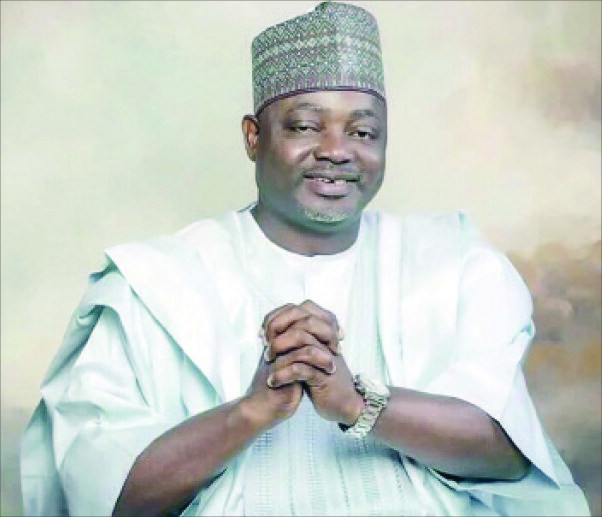 Issa-Onilu said the APC was already campaigning round the country even though the PDP had earlier said that President Muhammadu Buhari would campaign by proxy. He also stressed that Alhaji Atiku Abubakar, the PDP presidential candidate, personifies the dark era of the country. Issa-Onilu said the APC was poised to bring the country out of the doldrums that the PDP brought it to with its 16 years of governance.